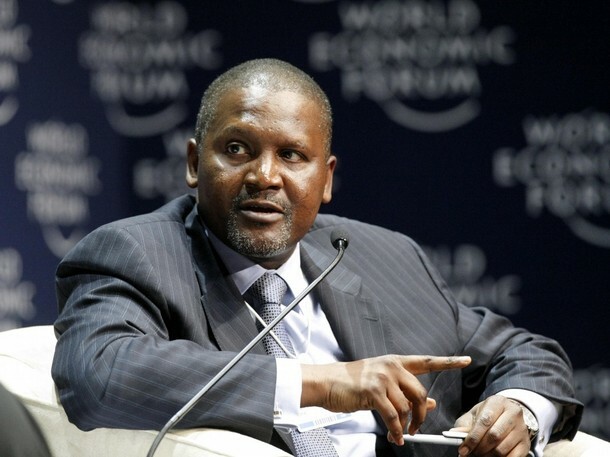 The Management of Dangote Group on Monday, debunked a story alleging that the company will benefit 10-year tax holiday after constructing 35km Apapa to Oworonshoki highway end of the Lagos-Ibadan Expressway. Speaking at the Ikoyi head office, on Monday, Group Executive Director, Strategy, Portfolio Development and Capital Projects, Dangote Industries Limited, Mr. Devakumar Edwin, revealed that the company has never benefited any tax waivers or credits in its entire history except when it is industry based and same applies to all industry players. He explained that while the company volunteered to repair the Apapa road as part of its Corporate Social Responsibility (CSR) initiative at no cost to the Federal Government, the construction of Apapa to Oworonshoki long highway will be done at 15 to 25 per cent less than the lowest bid. He further explained that the company proposed to the government to reduce 50 per cent of the total cost of the road, from its proposed tax, on its first year after completion and 25 per cent of the costs respectively for two years from its proposed tax. “…the government came forward and said, good enough your company is repairing a road that is very important to all Nigerians…is it possible to help us do proper road construction of 35 kilometers from Apapa to Oworonshoki? We advised the government to go for a competitive bidding and also that we will take it up at a costs that will be lower than the lowest bid received by the government. Since the government may not be handy with cash, we proposed that we will recover our money over three years in installments against our future tax. The reality is the government will not pay us for the construction, but we will only offset our costs against our three years tax. It would be recalled that the federal government said it would give tax relief to private sectors that invest in road construction in the country. Speaking at the Road Construction Summit 2017 organised by Lafarge and Business Day at the weekend in Lagos, the Minister of Power, Works and Housing, Babatunde Fashola said that there are a lot of possibilities that lie ahead when private capital comes into road construction under the tax relief order as proposed to be amended and complements government spending. According to him, the government has just concluded an agreement using the tax incentive order to hand over the Apapa area comprising Creek Road, Liverpool Road, Marine Beach to Mile 2, Oshodi, Oworonshoki to the Lagos end of the Toll Gate on the Ibadan Expressway to Dangote Group. Also, he said the government has signed an agreement with NLNG to construct the Bodo-Bonny Bridge at the cost of N120.6 billion with NLNG and federal government sharing the cost. “We have identified 28 toll plazas out of the old toll plazas, on roads where construction work is currently going on, at which we propose to restore toll plazas. We have also concluded traffic surveys on 51 major highways and now have current traffic data on these roads and we can project vehicular traffic movement for tolling and concession purposes,” Fashola said.